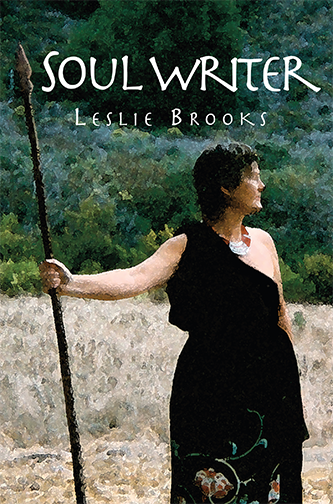 Robin Brooks of The Beauty of Books designed and produced the cover for Soul Writer by Leslie Brooks — Robin's twin. The third book in this series, it is, again, both a spiritual book and a memoir. The interior is based on the design of Love Incarnate which was used as a template design throughout the series. The cover was an interesting project. Leslie provided a snapshot of herself from her twenties. If used as it was, it would have made the book look self-published. Robin used a Photoshop filter to create an artistic effect of the image. She also did quite a bit of retouching in the background.